This article about 5 Budgeting Tips for College is sponsored by Amazing on a Budget by Walmart [dot] com. Heading off to college is a super exciting time in ones life! However, unless you happen to have a LOT of money saved up, have scholarships or help with your tuition, it can definitely put a strain on your wallet. Take a deep breath and plan ahead for less stress with these 5 budgeting tips for college! 1. Shop your home, or better yet, live there if you can. While living on your own can be a great experience while at college, it can also be an expensive one. If possible, continue living at home while attending a local college, plus in-state tuition is cheaper. 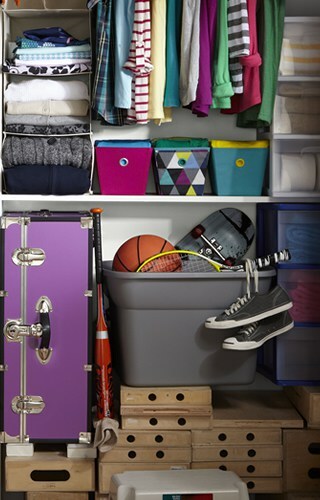 If you can’t live at home, ask your parents if there’s any unused small appliances, dishes, bedding, towels, etc. that you can take with you to ease your budget. 2. Rent your textbooks, or buy used and resale. Brand new textbooks are super expensive upfront, though they can be sold back at the end of the semester. Instead, it may be more budget-friendly to rent your textbooks, or buy used books that you can still resale at the end of the semester. 4. Don’t fall into credit card traps and access need vs want. Credit cards are generally pretty easy to be approved for once you get into college, but they can be a very expensive trap as well! A credit card can be a great way to get started building your credit, but only do so if you can remain diligent about how much you are charging and that you can pay it off each month. For more expensive items, always take the time to access that it’s something you really need versus something you’d just really like to have and that it will have practical use for the long-term to make it worth it. 5. Write out a budget and stick to it. One of the best ways to stay on budget is to actually write out a budget and see where you stand. However, it can be so difficult to stick to a budget sometimes! That’s why I thought it was very awesome that Walmart has created Amazing on a Budget! Pick a checklist to start with – there’s also a custom one you can make. Select what you need to create a budget for. Amazing on a budget will them use it’s magical internet powers to create a list of the most budget-friendly items for your list. You can then alter what you have on your list, see more similar items, or add to your Walmart online cart to buy what you need and have it shipped to you or your local store! How cool is that? I’m all about easy shopping online. Plus, I find that it’s easier to stick to a budget online instead of being tempted by a bunch of other items that you’d see in store. 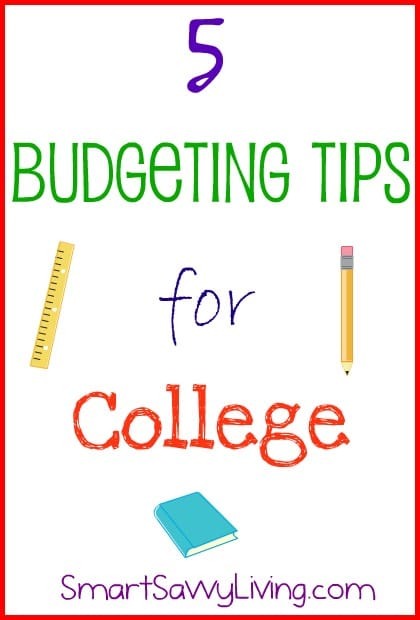 What are some of your Budgeting Tips for College?